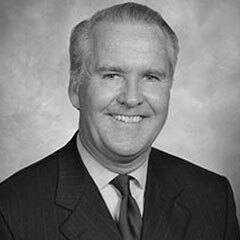 Bob Buckhorn was sworn in as the 58th mayor of the nation’s 53th largest city on April 1, 2011, and was reelected in 2015 with more than 95% of the vote. During his first term, Mayor Buckhorn focused on the city and region’s economic leadership, stability, and most importantly, business opportunity. Today, local government is smarter, urban development is centered on the riverfront, and Tampa is recognized as the competitive city it is. Our continued success in those efforts will set the stage for how and why we build in tomorrow’s Tampa. As mayor, Buckhorn serves on several boards and governing authorities including the Hillsborough County Aviation Authority, the Tampa Hillsborough Expressway Authority and the Tampa Port Authority. From 2011- 2012, he was also a fellow for the Urban Land Institute (ULI) Daniel Rose Center for Public Leadership in Land Use. Previously, Buckhorn served as the Special Assistant to former Tampa Mayor Sandra Freedman, and in 1995, he was elected Tampa City Council. In 2003, Buckhorn joined the Dewey Square Group, a nationally known public affairs company, until he opened Buckhorn Partners, a public affairs firm based in Tampa, in 2007. Buckhorn, 57, graduated from Penn State University in 1980. He is married to Dr. Catherine Lynch Buckhorn, and they have two daughters, Grace and Colleen.